Angelika Margull, born in Wernigerode, first commenced her studies in the area of graphics, before moving on to the field of Fine Art in 1965, at Universität der Künste Berlin (UDK). In 1964, she held a DAAD scholarship for Berlin and Venice. In 1996, she received the „Kunstpreis“ (art price) of the Academy of Arts in Berlin, and in 1976 a sholarship from the same institution. In 1981, she was awarded the „Kunstpreis“ of the the city of Nordhorn, and in 2000 a Silver Bear at the Berlinale film festival as part of the cast of the film „Paradiso“. Since 1973, Angelika Margull has seen her works featured at single and joint exhibition in numerous cities in- and outside of Germany. 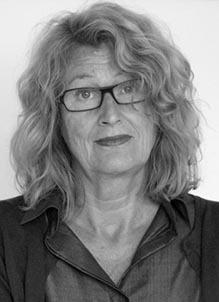 Since 1984, she has been working with movie directors such as Marcel Carné, Wim Wenders und Rudolf Thome to jointly create storyboards set designs and and production designs. In 2009, her documentary movie „Warum hat man Bilder gern – der Kunsthändler Rudolf Springer“ was released. From 1995 to 2010, she held a professorship for foundations of art at Potsdam University of Applied Sciences, and in 2000 and 2002 a guest professorship at NYP in Singapore.